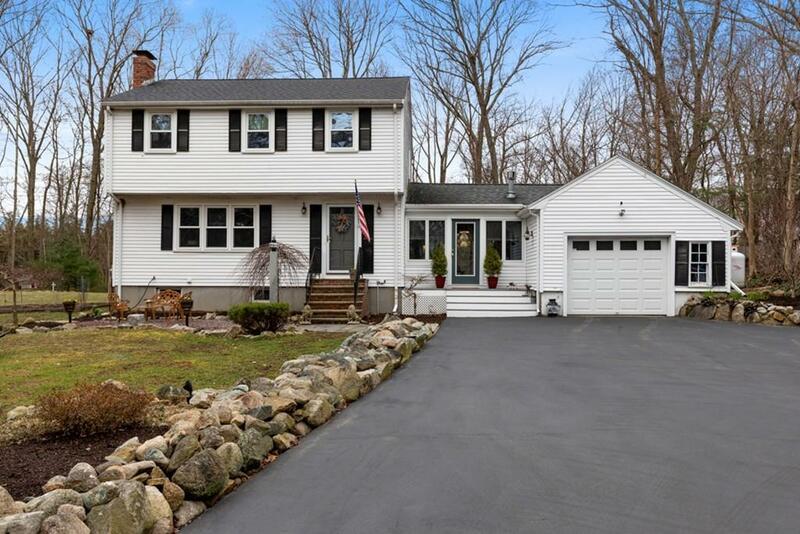 Charming and meticulously maintained colonial in a convenient location. Updated kitchen with granite and new stainless steel appliances and dining area. Family room with hardwood floors, french doors and wood burning fireplace. Cozy sun room, with sliding barn door and gas fireplace, 1/2 bathroom all complete the first floor. Hardwoods throughout the three bedrooms on the second floor. The large full bath has tub/shower and is tiled. The over sized driveway welcomes you to a beautiful, large and professionally landscaped lot. Two convenient out buildings on property. One is a cozy he/she shed with both heat and electricity. The other is a work-shop and storage shed also with electricity. Location is extremely convenient to expressway and close to medical facilities. Newer roof, windows, oil tank and appliances. Turn key, Welcome Home!